This foundation degree focuses on outdoor adventure sports, and provides you with valuable practical experience, enabling you to pursue a variety of careers in this thrilling sector. The course also offers you the opportunity to gain qualifications from national governing bodies alongside your studies, further evidencing your skills and increasing your employability. You will be enjoying the South West’s fantastic natural environment, gaining experience in activities such as mountaineering, climbing, kayaking, mountain biking and coasteering. Our students also regularly achieve BCU 2 and 3 Star, UKCC Level 1 Coach, Mountain Leader and Single Pitch Award qualifications during their studies. This provides you with a broad skillset that will offer you a variety of opportunities upon the completion of your studies. You will also have access to our comprehensive range of equipment, including kayaks and canoes, which you will be able to utilise in both practical sessions and in your own personal time, should you wish. Practical sessions and trips scheduled throughout the year are designed to develop skills and confidence in adapting your coaching techniques, in order to reflect the varying situations you will face and need to overcome to be a successful and effective coach. You will be learning in challenging environments, ensuring that when you graduate you will be well prepared to work in almost any setting. You will be learning from a highly qualified and experienced teaching team, whose theoretical and practical knowledge will be invaluable to your development as an effective adventure sports practitioner. Their passion and enthusiasm is exceptional, with dedicated support and tutorial time available so that you can make the most of your studies. This support has been crucial to the success of many past students who may not come from a traditional education pathway, and helps ensure your success. A minimum of 160 hours per academic year is dedicated to practical activity relevant to the curriculum, which enables you to gain experience and learn hands-on, in vibrant and exciting locations. These sessions are delivered in smaller groups so that we can offer more individual and focused tuition. During your studies you will also be completing a variety of qualifications, which will show employers that you have a varied and advanced skill-set. The assessment of this course includes both practical and coursework assignments. 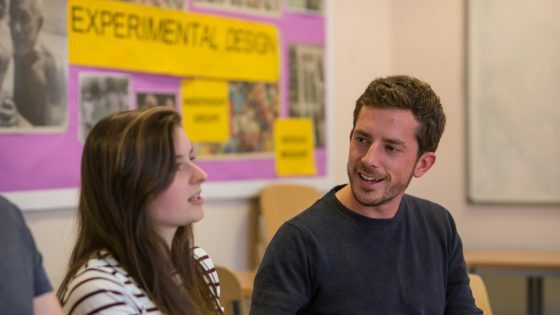 During a practical assessment you may be required to demonstrate coaching and associated techniques within a particular field, whilst coursework may include essay writing, presentations, demonstrations and discussion. Each module is worth a specified number of credits: you take a combination of compulsory (and if available optional modules) enabling you to cover key subject knowledge while developing your own interests. For full time students a total of 120 credits will be studied in each academic year. In the majority of cases this will consist of 6 modules. For part time students it will depend on the intensity of your studies. The balance of assessment by examination/test, coursework and practical depends to some extent on the optional modules you choose. The approximate percentage of the course assessed by coursework is as follows: Year 1 - 92% coursework 8% exams/test Year 2 - 100% coursework Timetables are usually available one month before the commencement of your studies. As a guide, In 2018/19 the first year of this programme was timetabled on: Monday/Tuesday (Tuesday all day practical). Awarding body: Students who complete this course successfully will receive a foundation degree from the University of Plymouth. Upon successful completion of this foundation degree you may progress to the final year of the BSc (Hons) Coaching degree at UCSD or an associated course at the University of Plymouth. Please note that there is a deadline for progression applications and places may be subject to availability.